Take the journey. Discover your best professional self. Great leaders are continually on the path of discovery. Professional Foundations is a guide for the professional development process, beginning with you and mapping out your best professional journey. Join us to discover and apply the skills it takes to be an exceptional contributor and leader. 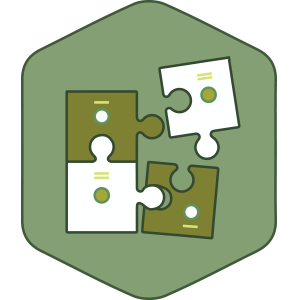 Course content focuses on key behaviors that positively impact results. This is wrapped into an 8-week in-class study, with top classroom leadership, a collaborative learning environment and one-on-one coaching. We recommend combining with Professional Optimization (winter). 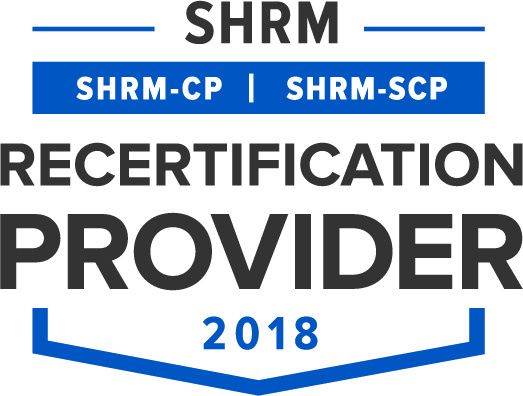 Complete the Professional Excellence suite for additional recognition and a customizable long-term professional development plan (Professional Foundations + Professional Optimization). 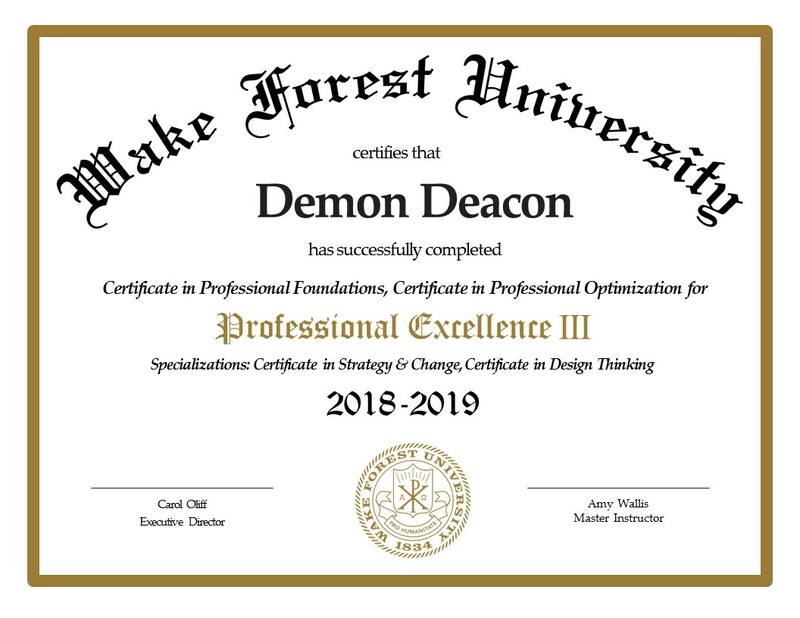 Other 2018-2019 Certificate courses may be added to the Professional Excellence suite as specializations and identified with additional recognition. 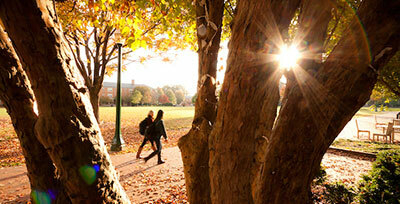 The Wake Forest University Certificates Program is an open-enrollment, non-credit bearing program. Create a long range professional development plan for yourself and for growth in your organization. Identify your own leadership style and the value of embracing the leadership style of others. Take away professional skills that allow you to engage in the continuous development of your professional strengths and opportunities. Discover and apply key professional competencies to enhance your ability to contribute to personal and organizational success. Let’s start with the concept of trust and take a look at conflict in order to improve strategies and opportunities. Unlock proven strategies for influencing groups, supervisors, and subordinates that can be applied for enriched impact and improved results. 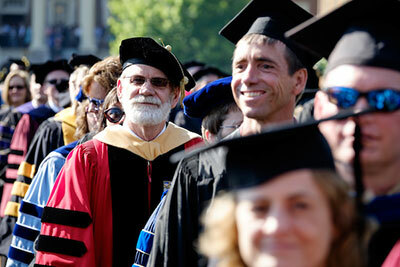 Professional Foundations is designed for professionals at every level. Whether you are an individual contributor, current manager, aspiring leader or leading others now – knowing yourself well and how to leverage strengths is fundamental to career opportunity and fulfillment. This course will help generate new glimpses and refreshing discoveries into the skills that deliver those “Aha!” moments along the way. Take the journey to discover your best professional self. 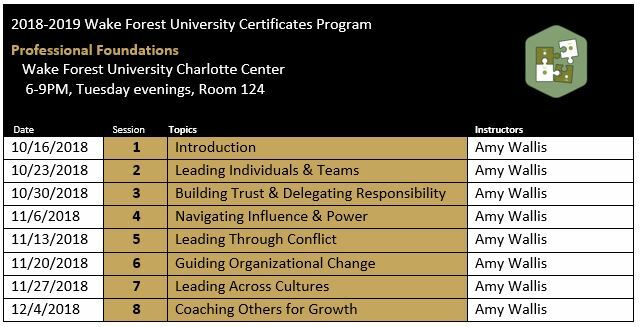 In this opening session, participants will learn various work and leadership styles, how these styles may influence the way we lead others, and the value of understanding and embracing a variety of styles. Learn best practices for partnering with individuals and groups, delegating work, communicating expectations, and managing performance. The focus in this session will be on trust as a foundation for our professional endeavors, and how we can build on that trust to appropriately manage our own and others’ work. 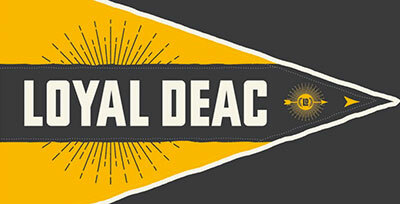 Different levels of delegation, and how to decide when and what to delegate, will be discussed. In whatever role we choose to play in our professional life, we need to influence others’ thinking and behavior. This session will explore sources of power, how power structures impact our work lives, and influencing strategies to support success. In this session we will discuss conflict as an inevitable part of our professional lives, and one of the most commonly cited challenges for leaders. We will focus on identifying different types of conflict, encouraging conflict that creates innovation and problem-solving, and minimizing unproductive conflict. The most important part of any organization is its people. This course will address key topics such as recruitment, retention, development and evaluation of staff, volunteers; the importance of diversity in the nonprofit workforce; and specific strategies to create a motivating and rewarding work environment. This session will focus on the experience of collaborating with others with differing backgrounds, assumptions, and behaviors. 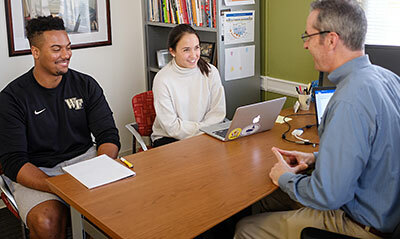 Through various exercises and discussion, students will have the opportunity to explore biases, understand cultural differences, and adopt a global mindset. Research shows that relationship-based learning experiences, such as coaching and mentoring, have the greatest impact on employee development and performance. This session will highlight best practices in coaching and mentoring, with a focus on tools and strategies. All classes are held on Tuesday evenings from 6:00 PM to 9:00 PM. 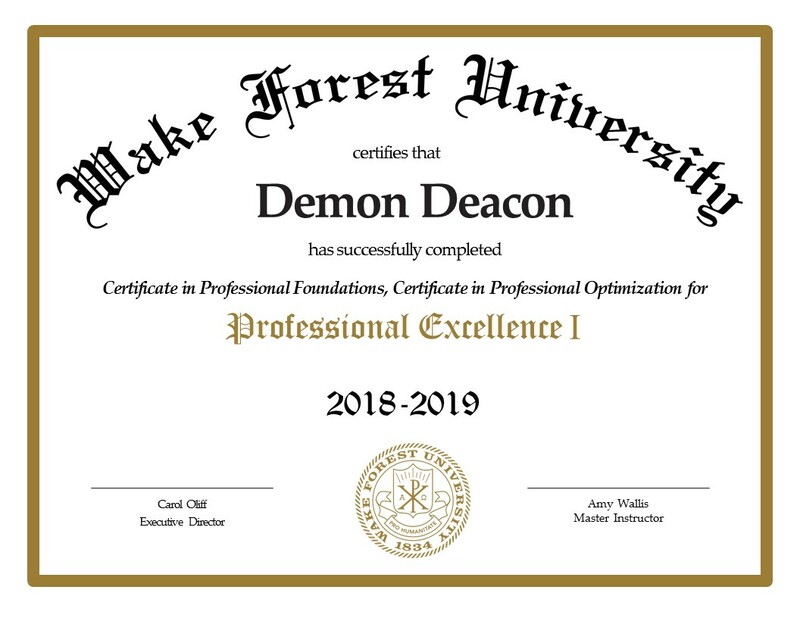 *Professional Excellence Suite – Course Participants coupling this course, Professional Foundations (fall) with Professional Optimization (winter) receive additional certificate recognition for Professional Excellence.